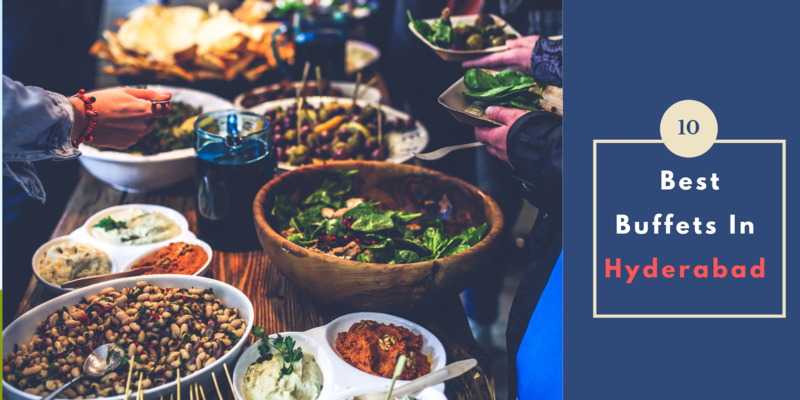 A buffet meal is good for two reasons: you can do away with the clutter of ordering, and it is never too less or more to eat. 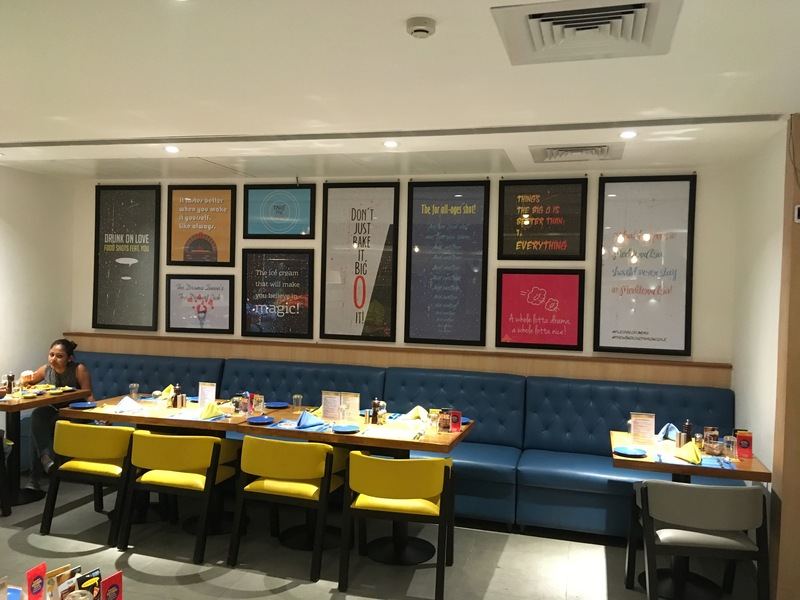 More so, it satiates your hunger for different dishes and different cuisines in one go, and at affordable prices too. 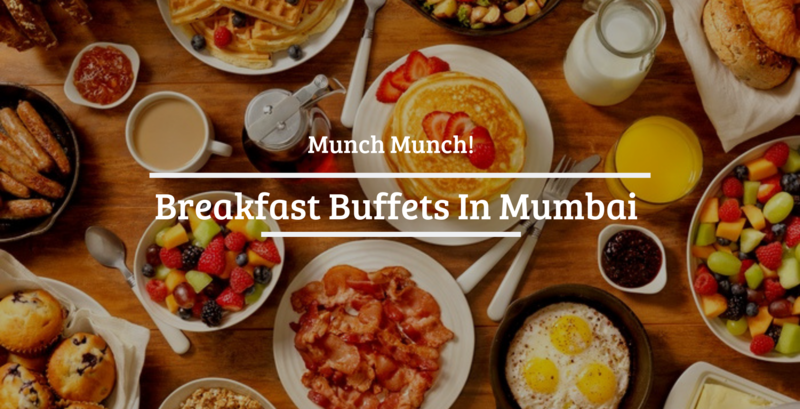 A buffet is an extremely convenient dining option. You can save money, time, a lot of energy and still eat the best of what you want. It is also a great way to satisfy the diverse needs of a large group and the perfect outing for a family. 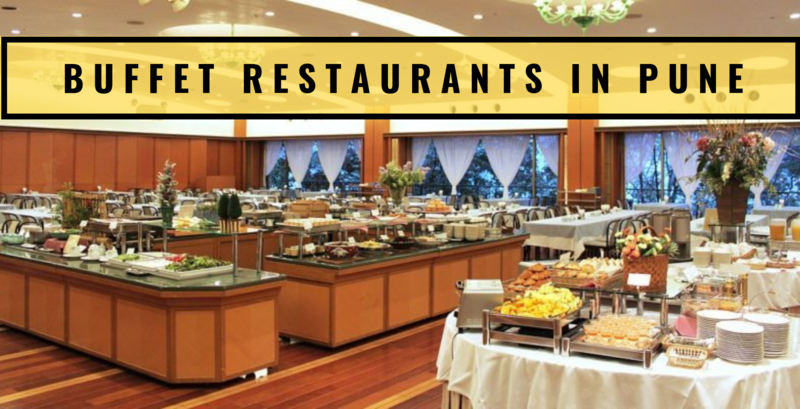 Thus, we decided to create a bucket list of 15 best buffet restaurants in Bangalore. Are you looking for a great place to take your date or family? 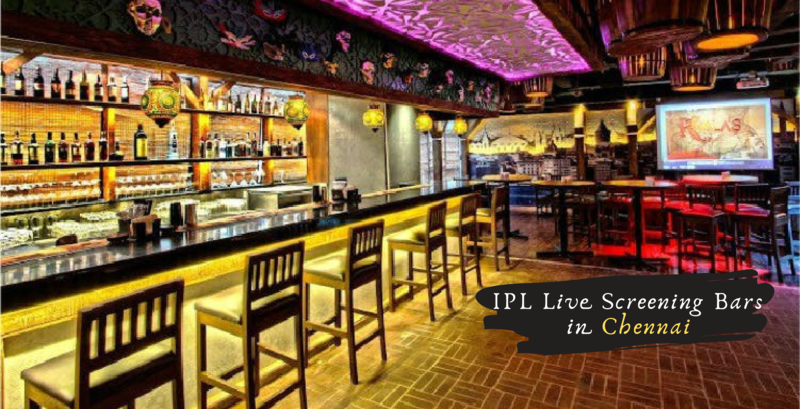 A place that offers breath-taking ambiance, amazing food, service par excellence, marvelous music and offer a phenomenal choice in drinks? Then head on down to Big Brewsky and take advantage of all the good things to be had at one location, you won’t be disappointed. Ask to be seated poolside to up your dining quotient and don’t miss the spectacular Sunday buffet. Elegant thali meals served on gleaming Kansa cutlery, evocative of the decadent Rajasthani-Gujarati havelis. Well-groomed servers quietly swish past you graciously serving the most delicate and dainty morsels like dhoklas, kachoris, and chaats. The food keeps coming and the varieties are mind-boggling, from Dal Bati Churma to Gatte Ki Sabzi and Khoba Rotis, make sure to try out all the dishes but leave space for delectable desserts like Malpua and Rabri to luscious halwas, what more can one ask for? Maybe a siesta nap afterward? 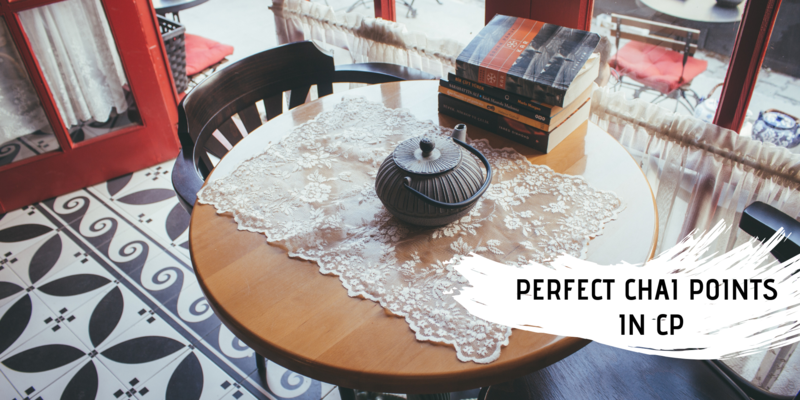 Are you on the lookout for a restaurant that has a good ambiance, good food, and good drink choices? 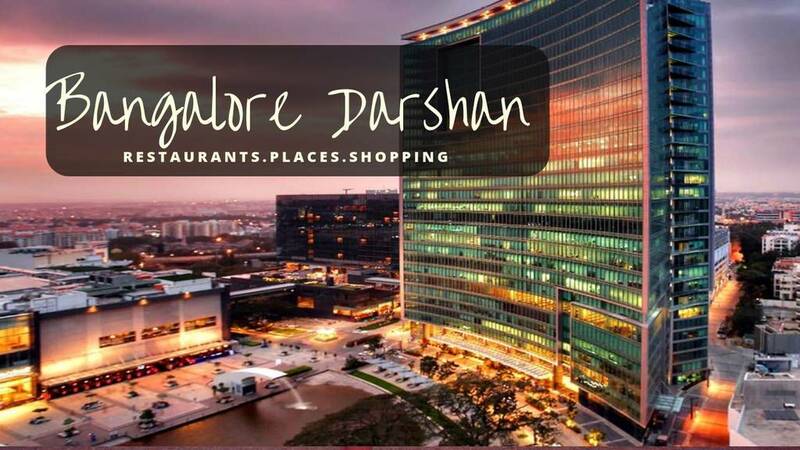 Bakasur, located in Koramangala is just the place for you. 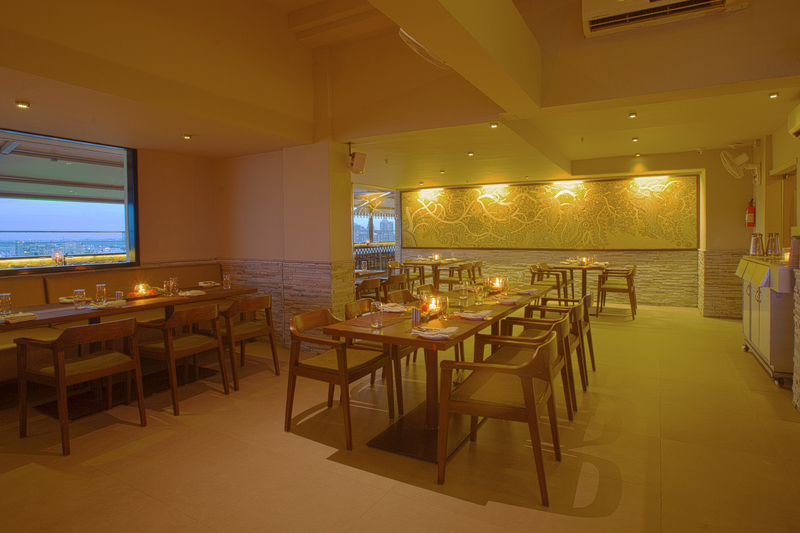 Spacious dining area, long buffet islands that serve every style of cuisine and attentive staff make for a good dining experience. 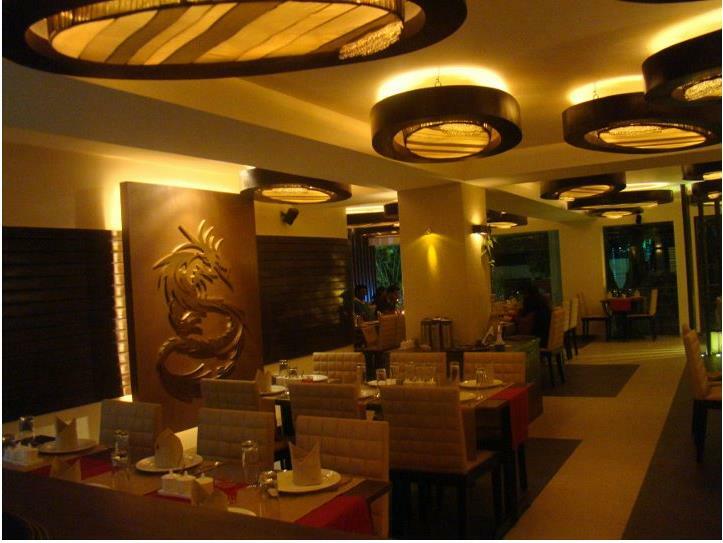 Try the myriad variety of authentic chaats, delicious Chinese and a winning combination of North and South Indian food. 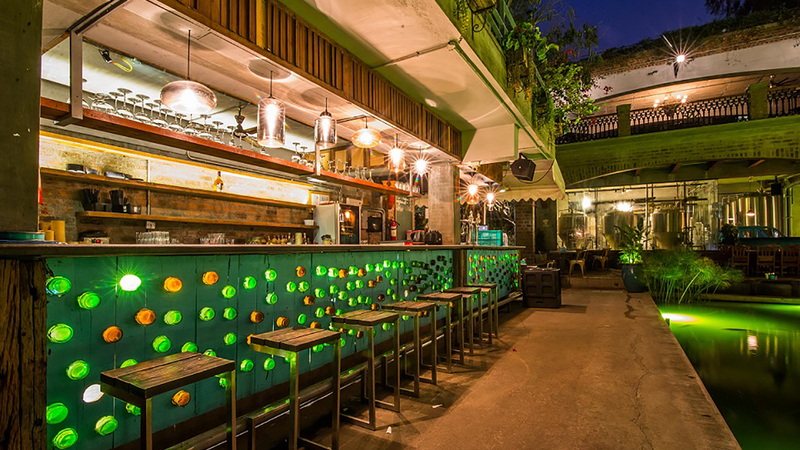 Not too many Middle Eastern eateries exist in Bengaluru, but the few that do tend to be quite good and Byblos is no exception. This Lebanese restaurant serves all the traditional mezze items like hummus, muttabal, falafel, and tabbouleh served with crisp pickled vegetables and olives and piping hot pita bread. Their mains are even more delicious and you can order the various shawarmas or platters that you can share. The buffet on weekends has a fabulous spread of traditional foods with Mediterranean flavors. Located on the 13th floor, Ebony offers a grand view of Brigade Road and the skyline. 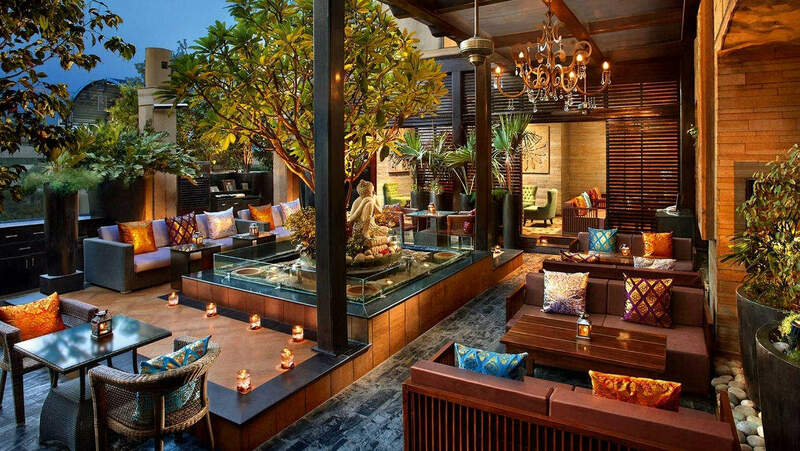 Choose to sit indoors or enjoy the cool breeze on the rooftop and sip on one of their signature cocktails. 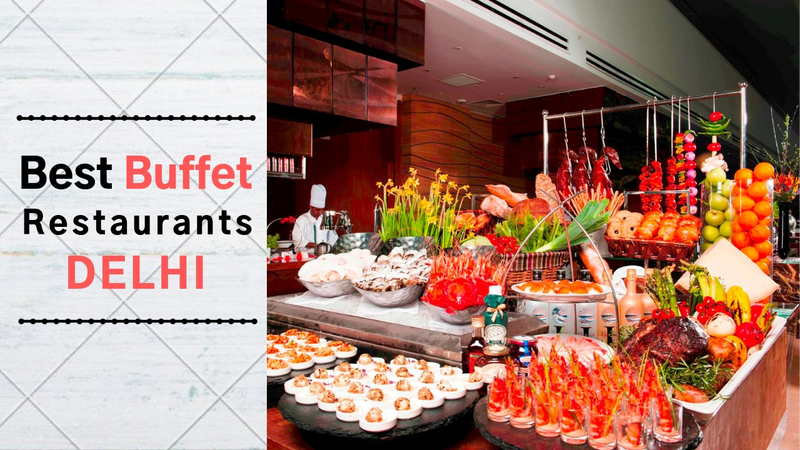 All the favorites we expect in a buffet are all there, from Salads to Asian and Indian cuisine. One can expect courteous service and lots of parking space considering it is bang in the middle of the CBD. An iconic restaurant situated in a property managed by Taj and highly acclaimed for serving traditional west coast seafood specialties all the way from Goa to Kerala. The freshness of the seafood and ingredients will have you coming back for more. 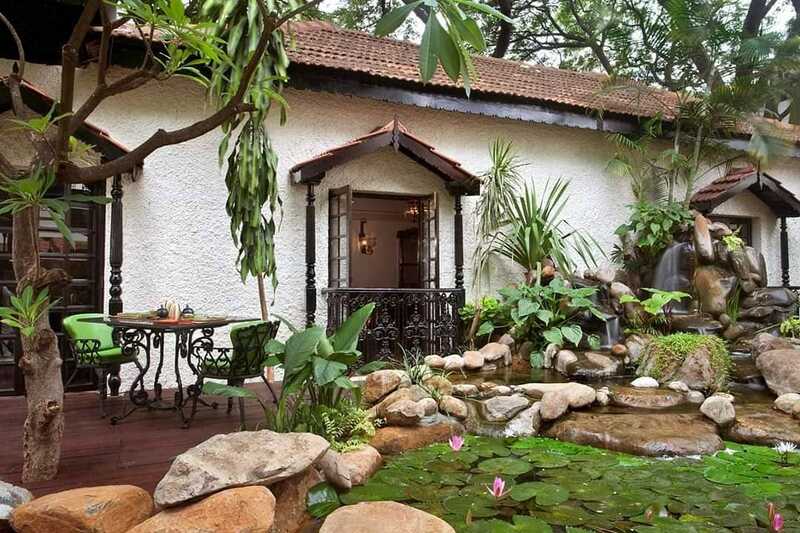 The ambiance of a colonial style Kerala Cottage adds to the dining experience. Don’t forget to ask to be seated by the lotus pond to enjoy the laid-back goodness of Gods own country. The banana leaf thali is most popular but you can order a la carte as well. Do you hate it when the food goes cold on your plate? BonSouth has placed a hotplate on each table just so your food can stay warm! 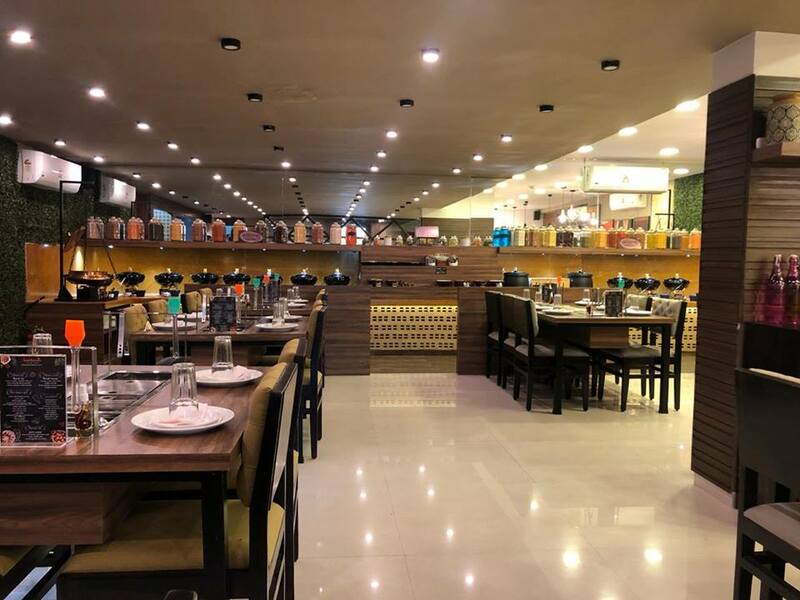 One of Koramangala’s best-kept secrets, the restaurant serves foods from the various southern cuisines like Andhra, Kerala, and Chettinad. Start your meal with Elaneer cocktail and move on to the freshly made piping hot appams straight from the pan with Mutta Kozhambu or Kai Kari Stew. 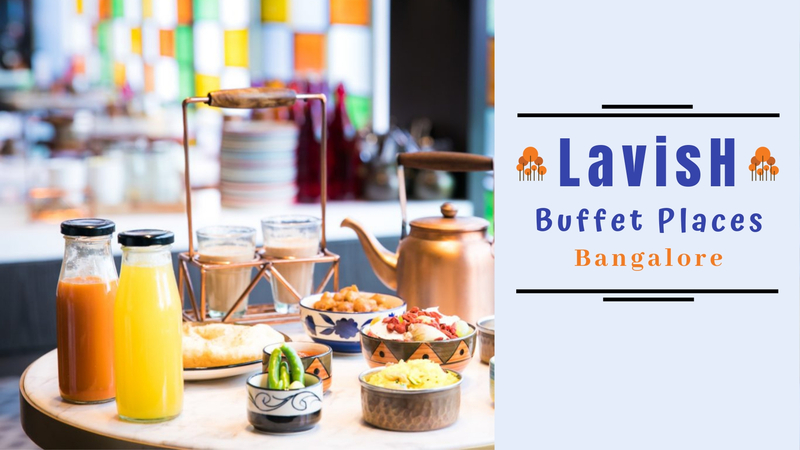 Popular for having 54 varieties of dishes at the buffet table, you will be spoilt for choice. The live chaat, dimsum, and grill counters are a hit with the diners. Go in a group of 5 and pay for only four - not a bad deal for unlimited food that includes multi-cuisines, from biryani to tawa pizza and everything in between. 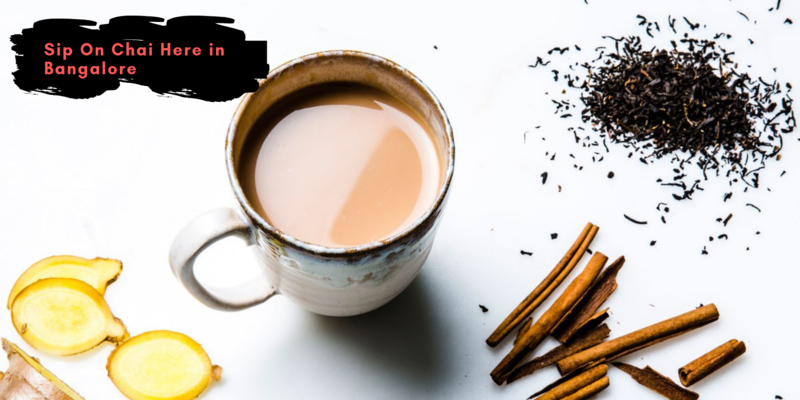 But remember to pace yourself as the desserts are just as plentiful, cakes, pastries, brownies and puddings in addition to Indian sweets like gulab jamun and halwa. Inspired by the Silk Route, Sultans Of Spice takes you through a culinary journey of central Asia. 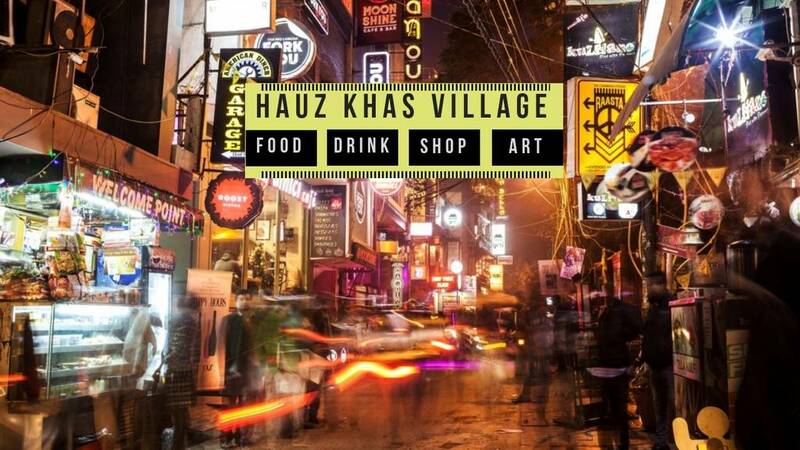 Starting from the Afghan inspired grilled meat dishes, down into the heartland of Punjab with Sarson Da Saag and Makki Di Roti and ending up right into modern day Delhi to enjoy the riot of chaat varieties. 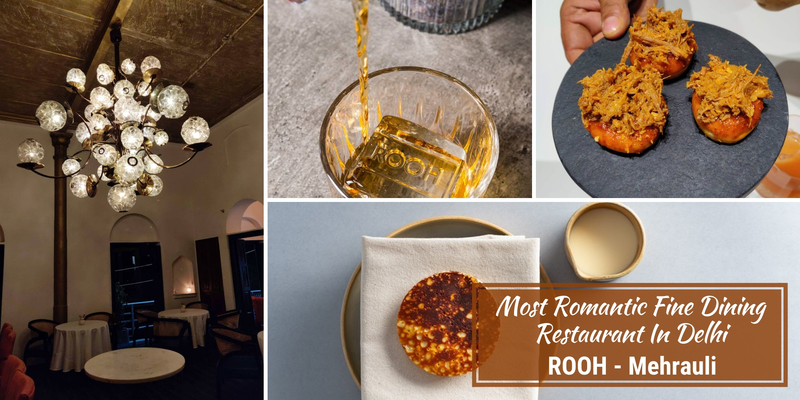 The ambiance is like sitting in a haveli with jharokha window views of artwork that takes you back centuries with courteous wait staff fulfilling every dining need. Located in the CB, and housed in the colonial era Indian Express building, it’s here that the East meets the West. Grand interiors with plush seating are reminiscent of palatial homes, creating the perfect ambiance for intimate meals or large gatherings. An extensive bar menu and superb mixologists are there to create many exotic drinks. From individually crafted sushi and sashimi to Thai curry dishes, robatayaki grilled entrees, and wok dishes, 1Q1’s menu sets itself apart by offering 'a unique spin' on authentic Pan-Asian cuisine and their Sunday brunch is a veritable feast of the best of Asian food. When you can't enjoy the luxury of strolling from patisserie to pizzeria across Europe or hawker style street foods in Bangkok to the khau gallis of Mumbai - don’t fret, Flechazo is here to help. 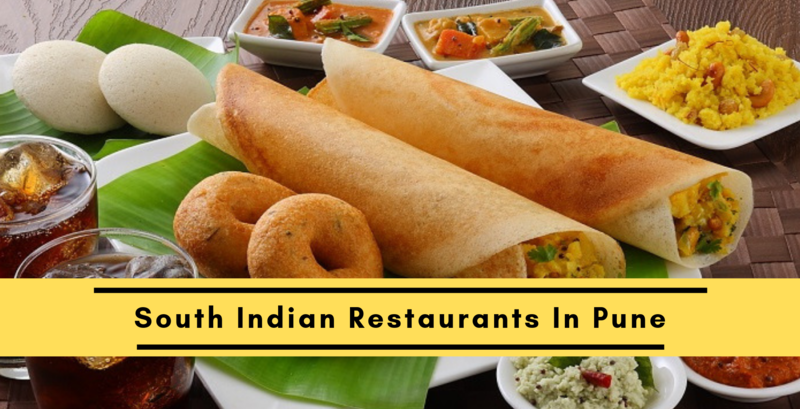 They have made sure that you can enjoy these international cuisines at any of their locations. Whether you crave unlimited sushi, want to create your own signature style pizza, or feast on delicate macaroons, it’s all there for you to enjoy! 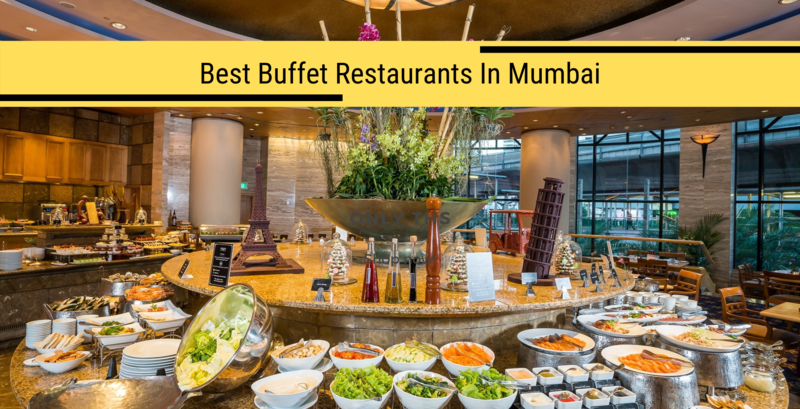 Want to eat at a top-notch buffet that is both pocket-friendly and offers a memorable experience? 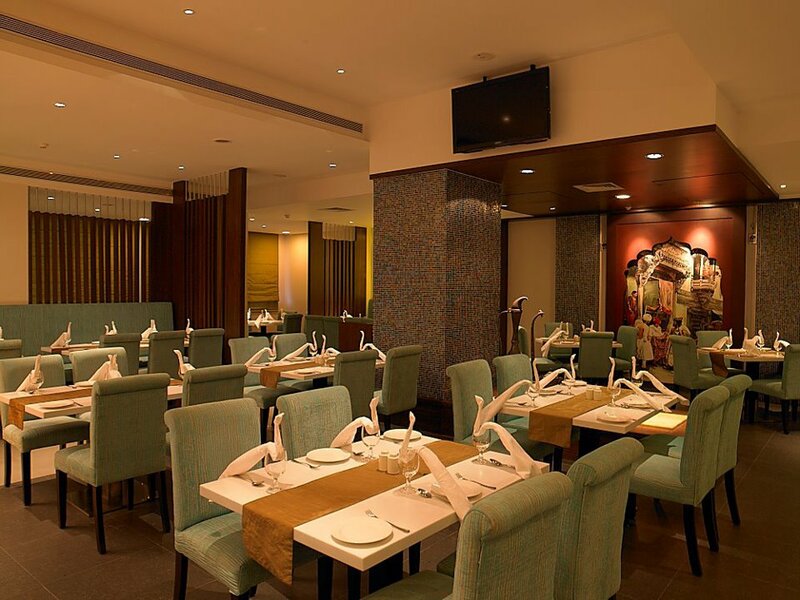 JW Kitchen is the most sought after buffet in Bangalore. 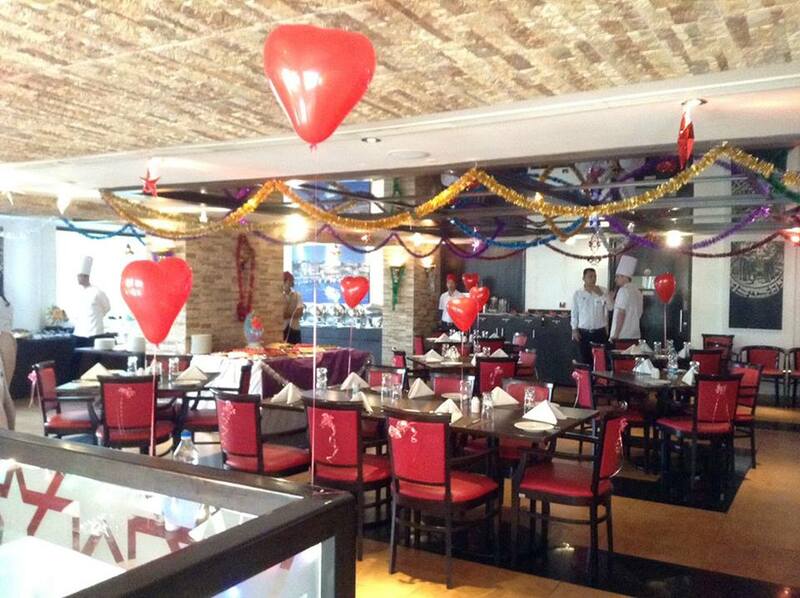 The endless buffet and attractive display make one marvel at all the exotic dishes on the menu. Dine indoors or al fresco, the ambiance is special and the added bonus is attentive staff that complete the luxurious experience. 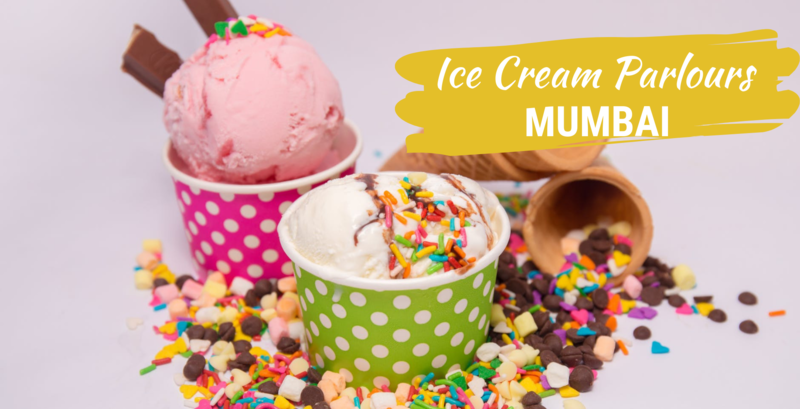 Don’t miss the amazing desserts they have to offer, probably the best in Bengaluru! Hands down the most popular BBQ buffet in Bengaluru. Why do we think so? Well, they have 3 locations and the queues waiting outside is sign enough. Whether you want rabbit or duck, shark or prawns, they've got it all, and guess what? It’s unlimited! Choose your spice level and then wait for the party to begin! If BBQ meat is not your thing, don’t worry. 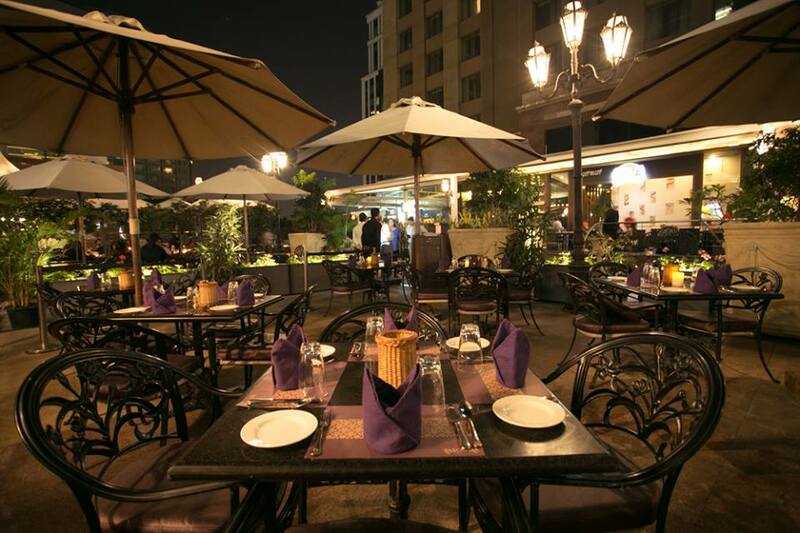 There are plenty of chaats, salads, Chinese and Indian dishes to choose from. The dessert bar is most sought after, so leave space for cake, pastries, parfaits and more! Want to feel like royalty? Well, this is the place for you then. 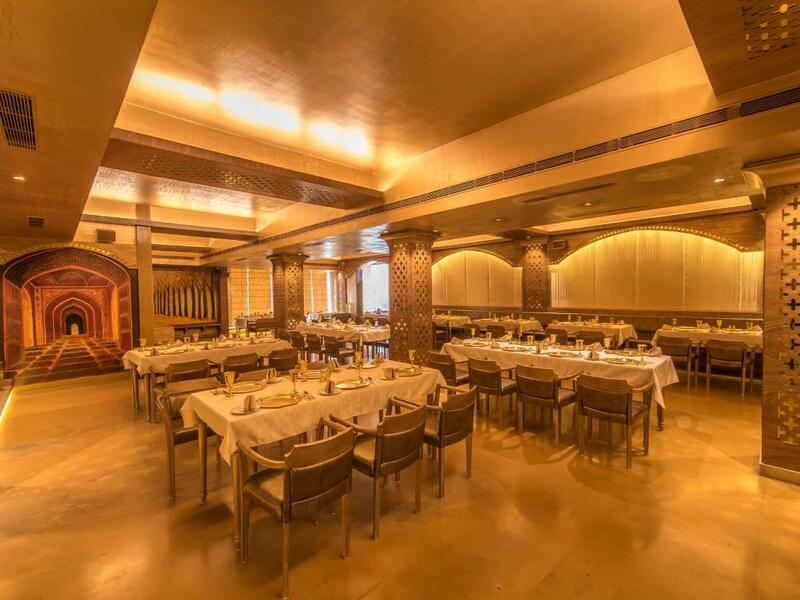 From the unique Mughal inspired durbar style décor to gold crockery and cutlery you are sure to be dazzled by India’s first luxury gold themed restaurant. Start your meal with a drink in golden goblets and enjoy freshly made starters like the Dahi Ke Kebab and Karela Salad. Feast on luscious pieces of Jhinga Lal mirch along with Khasta rotis and the fragrant Murgh Jafrani biryani. If you still have space, do not miss the Malpua’s served with creamy Rabdi. A regular Times Food Award-winning restaurant, Hunan as the name suggests offers classic Chinese cuisine with a handful of dishes from Thailand and Burma for that exotic touch. 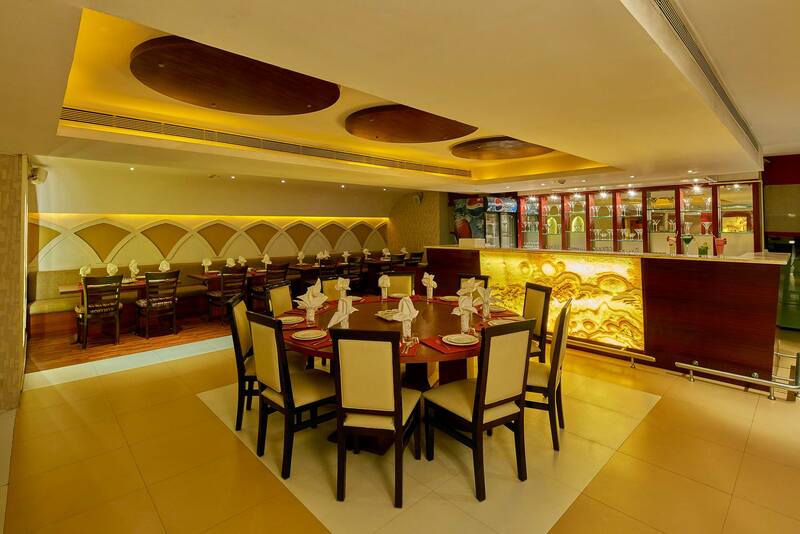 A cozy restaurant located in the busy streets of Koramangala, Hunan is a conveniently tucked away in a leafy avenue. If you are in the mood for some Peking duck or Slow roasted pork Bao, then you won’t be disappointed. Choose the buffet if you feel you can do justice or go with the Ala carte option if you just want a few small eats. 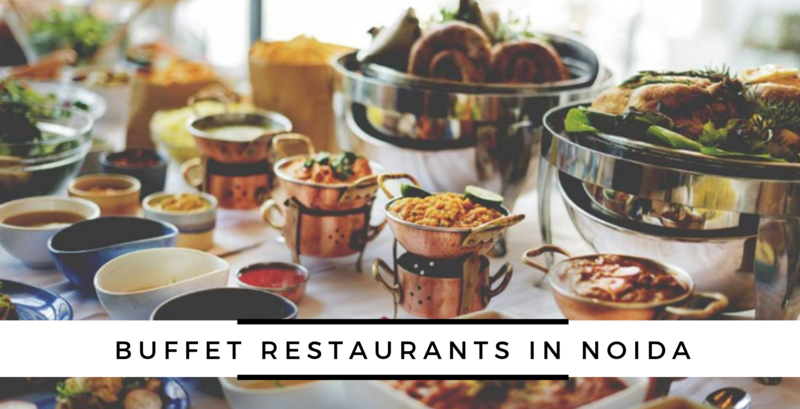 We assure you that you will be thoroughly satisfied by picking up a buffet from one of these best buffet restaurants in Bangalore. 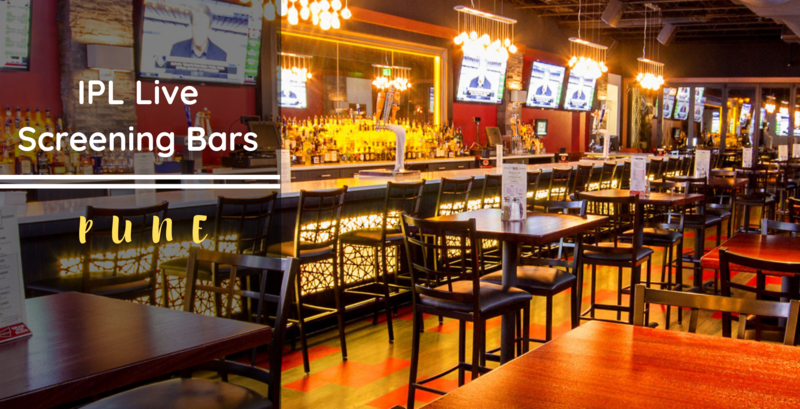 Whether you want to celebrate a special occasion with your family or hang out with your friends, we have you covered. 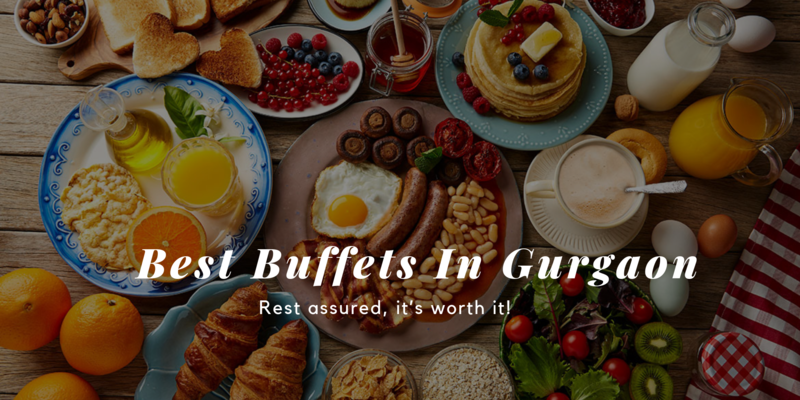 Check out these places for the best buffet in Bangalore the next time you're looking for an all-you-can-eat meal. 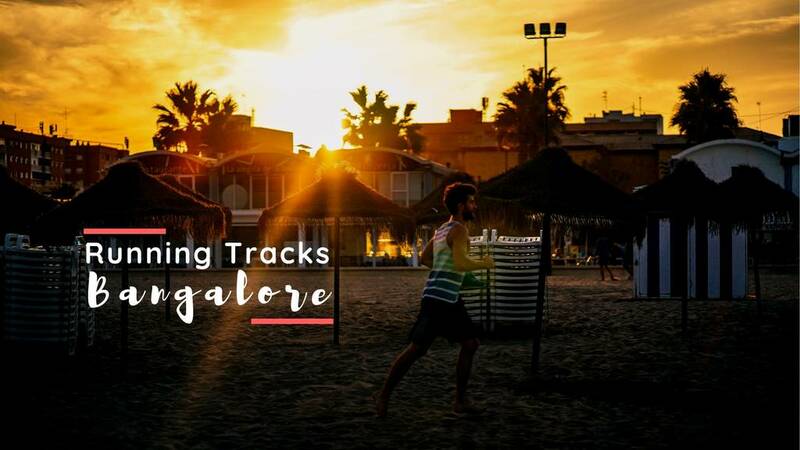 Q: What are the best places in Bengaluru to eat street food? Q: Where can I find Gujarati Farsan and Gujarati Street Food in Bangalore? 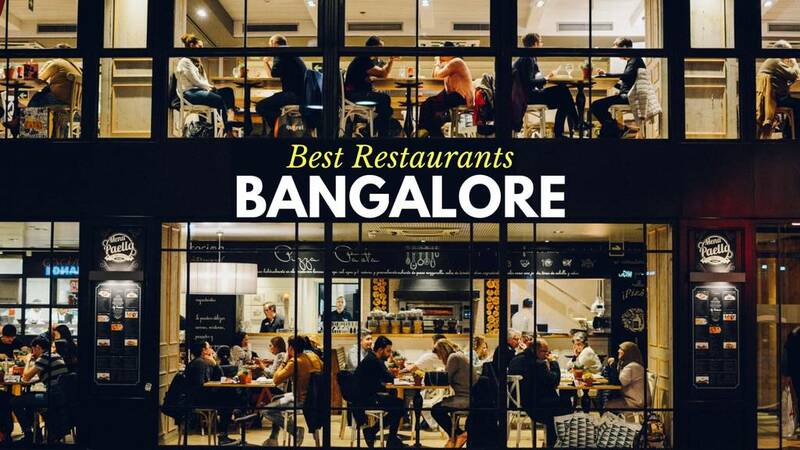 Q: Which are some of the best dessert shops in Bangalore?